This fellow is a big deal in American baseball history. Clark Calvin Griffith was born same date as today on November 20, 1869. 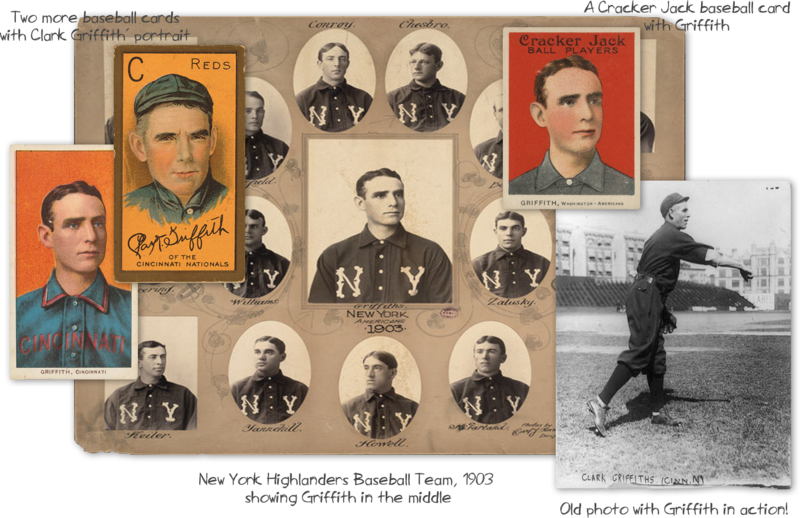 Nicknamed “the Old Fox”, Griffith was an American Major League Baseball (MLB) pitcher, manager and team owner. He began his MLB playing career with the St. Louis Browns (1891), Boston Reds (1891), and Chicago Colts/Orphans (1893–1900). He then served as player-manager for the Chicago White Stockings (1901–1902) and New York Highlanders (1903–1907). He retired after the 1907 season, remaining manager of the Highlanders in 1908. He managed the Cincinnati Reds (1909–1911) and Washington Senators (1912–1920), making some appearances as a player with both teams. He owned the Senators from 1920 until his death in 1955 at the age of 85. Griffith was elected to the National Baseball Hall of Fame in 1946. How is it possible not to have many collectable paper items from this guy? Sports card collections have strong fans and enthusiasts that they pay a lot of money for a particular small piece of paper! It’s worth it!